French Films are the real deal. 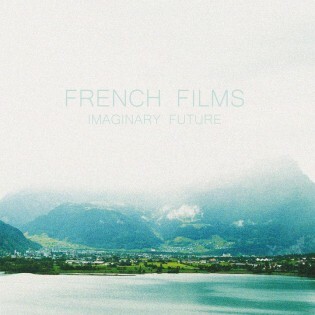 If you haven't given their new album 'Imaginary Future' a listen yet, the time is now. I will continue to buzz about these guys and Imaginary Future will be within hands reach throughout the upcoming year. I wrapped up my best albums of 2011 and Imaginary Future came in at #5. The reason for this is that all 10 songs that are featured work so well together and beg you to listen again and again. The album starts off with a bang with 'This Dead Town', offering a strong intro that comes out quick with its fun hooks and powerful vocals. This alone makes it a vocal point of an album of 2011 that was over looked. Next up is 'You Don't Know', and there is no rest on this album as you go from song to song. The whole thing is a perfect Finnish indie pop gem. 'Golden Sea' is a song that I have had on repeat long before the album even was released. It comes from the bands Golden Sea EP and might be the highlight of their entire catalog. Another album highlight for me is 'Pretty In Decadence'. It is a crisp, clear song of beauty. It may be a simple formula that French Films use but the songs continue to roll off your ears. 'The Great Wave Of Light' solid effort here. Perfect song placement as well, one of the softer tunes. 'Living Fortress' again I am not sure how to put words to this song. Everything about it works so well, for only a debut effort from French Films we are in for some fantastic music in the years to come. 'Escape In The Afternoon' opens up with a little more edge as the album winds down its conclusion. 'Convict' was the first single from the album and it comes at you fast and never slows down, as the lyrics "everybody's waiting for something" screams out to you, making you feel that this album is what they are referring to. The album concludes with 'New Zealand' and 'Up The Hill' and the formula of each song building on the previous one continues right up until the albums end. I still can't find a single complaint about this album. The ten songs zip by pretty quick and even with a full EP and full length album I continue to want to hear more from French Films. Imaginary Future is a must listen, and I have a feeling it won't be leaving my playlist for a long long time. trying to find a copy of this cd for months... anyone?